Hi, everyone! I have been so excited to share this post with you. 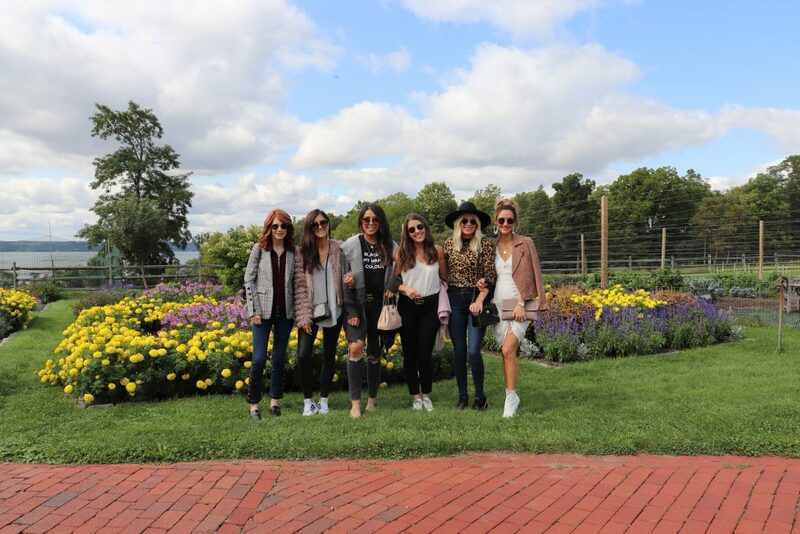 Last month, I got to go to MacKenzie-Childs headquarters and farmhouse in Aurora, New York with six of the most adorable bloggers. 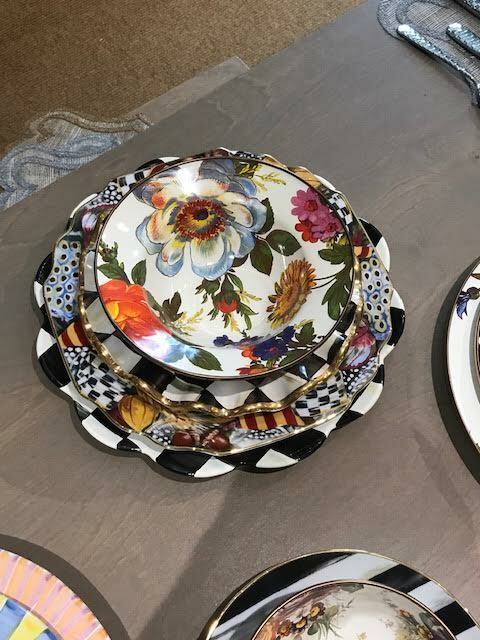 MacKenzie-Childs is a brand that I have been familiar with since the year I was married (1983), and even put pieces on my wedding registry. One thing I know for sure is that if a brand has been around that long and still going strong, it must be an exceptional one! 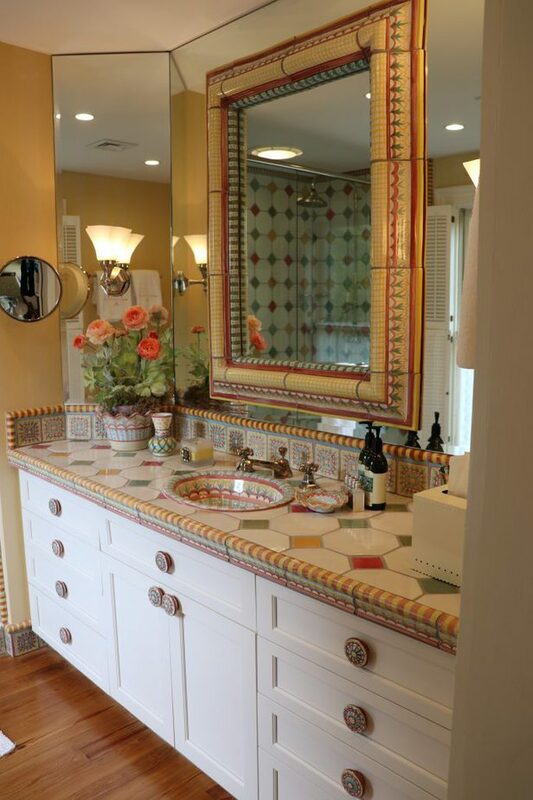 MacKenzie-Childs is more extraordinary than I knew! 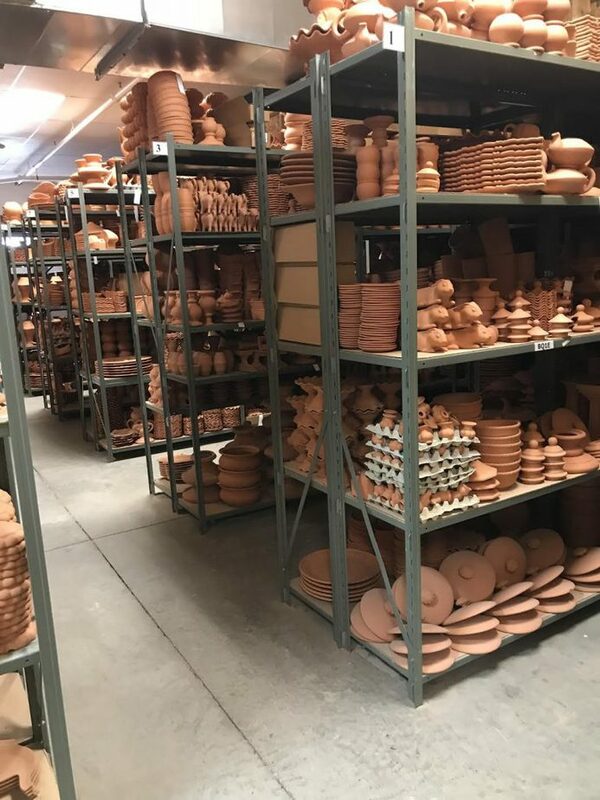 They offer handmade ceramics, enamelware, glassware, furniture, and home accessories, and much more that add joy and personality to homes all over the world. The girls ( Liz, Karina (fellow breast cancer survivor), Ali, Kathleen, Aylin, Sabrina) met up in Chicago and flew into Rochester together. We were driven to the cutes, and the most quaint town of Aurora to the loveliest Inn called the Rowland House. We had the entire house to ourselves. 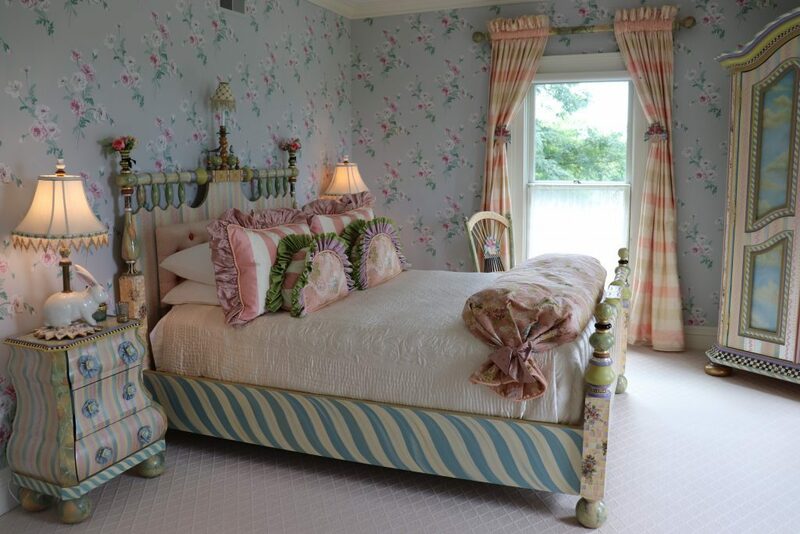 My room was beautiful and cozy and looked out onto the Cayuga Lake (one of the Finger Lakes). It was possibly one of the most serene settings I’ve ever seen and the thought of being there for four nights was heavenly! 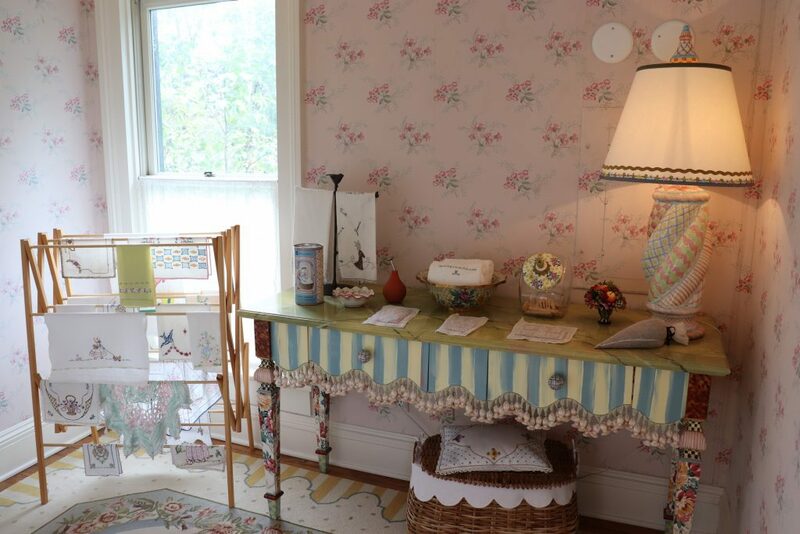 The first thing on the agenda was to walk around the town and have a tour of each of the Inn’s owned by Pleasant Rowland (who at one time owned MacKenzie-Childs and owns American Girl Dolls). Pleasant attended Wells College in Aurora and wanted to give back to the town that helped mold her into the person she is today. If you are ever planning a trip to upstate New York, you have to stay in Aurora at one of these beautiful homes. After the tour, we had a fun wine cruise around the lake with, of course, MacKenzie-Childs platters of cheeses, meats, and crackers, and of course wine! 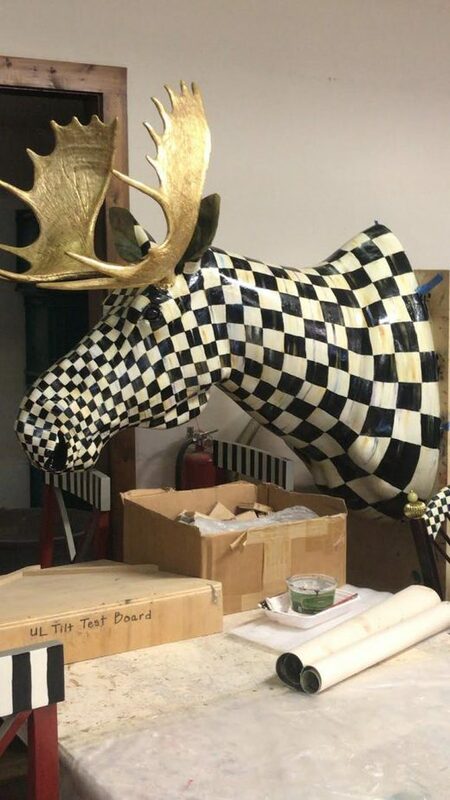 The next day was an up close and personal tour of the MacKenzie-Childs headquarters that is a restored dairy farm where so much of the products are made. 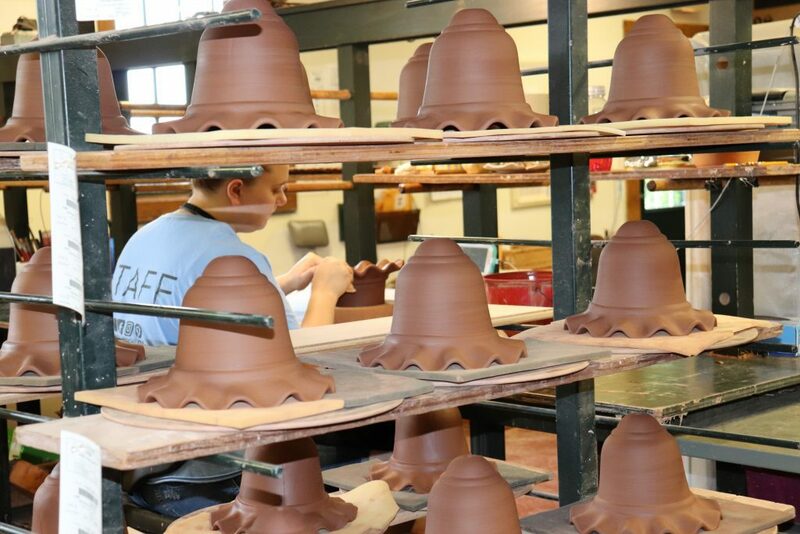 Y’all, I had no idea that each piece crafted in Aurora is HAND made, along with many of their other products crafted either at this facility or in other parts of the world by Artisans that have been carefully vetted. 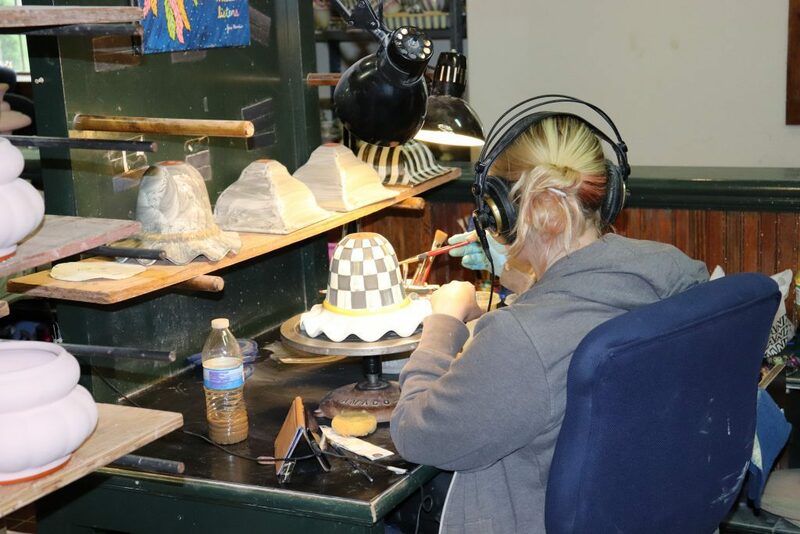 Some of the craftsman at the Farmhouse have been there since MacKenzie-Childs began and are the only ones that know how to do certain things in the process of the creations. 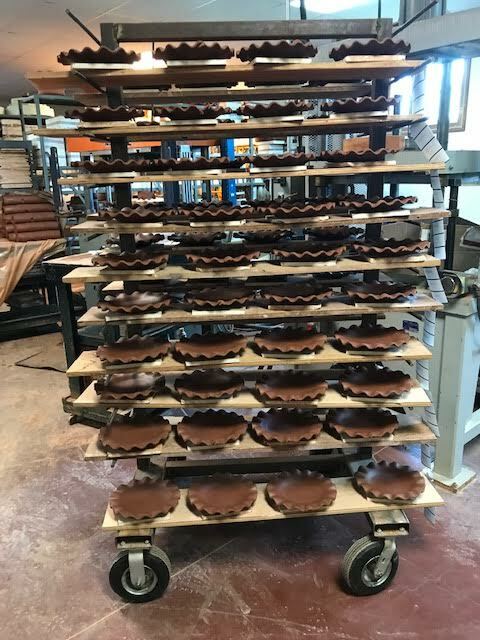 It was amazing to see how each piece is made and how much passion is put into it. 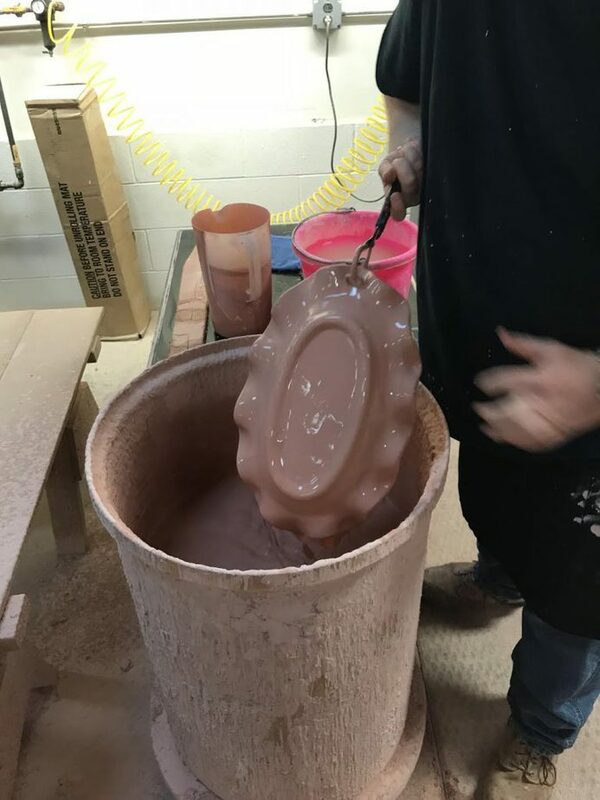 From the design to the molds the painting, the glazing or building of furniture it is truly mind-blowing! I have a new and utmost respect for each person that works there. We got to paint a pie plate and what looks so easy for the artists, was not so easy for me! We also toured the furniture area where we saw pieces coming together by paint, fabric, and ceramic touches. 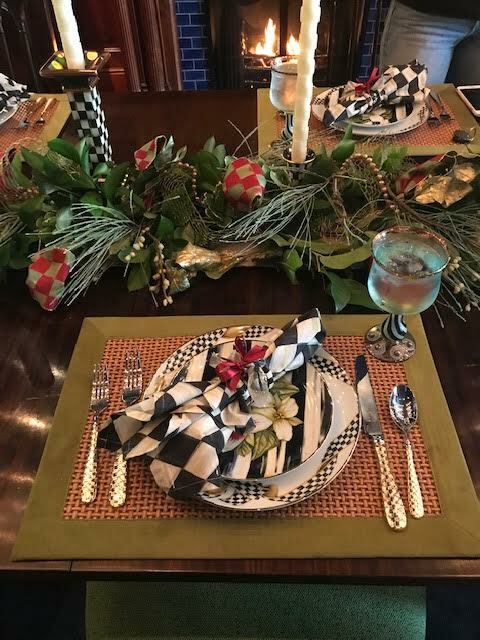 We headed to the store after the tour and lusted after every piece of MacKenzie-Childs, then picked out a place setting to show the next day on a Facebook Live video we got to film. 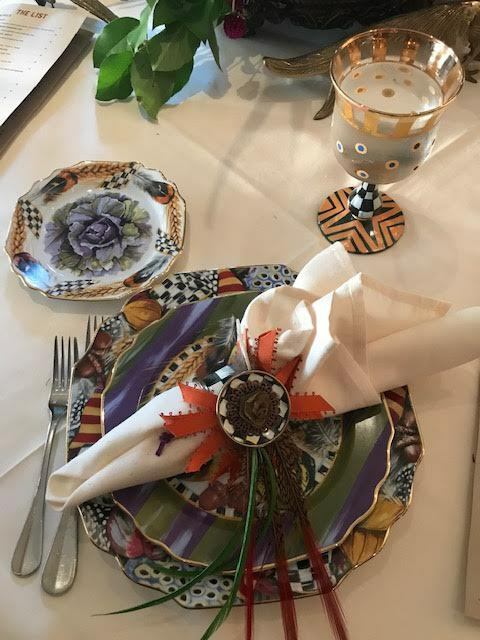 On our next day, we got to have a private preview at the Rowland House from one of the sweetest women I have ever met named Rebecca Proctor, who is the creative director behind the brand, to see what is in store for Spring of 2019 and it is terrific! Rebecca is the person that I wish lived closer to me because I would beg her to be my best friend. She is darling and full of the most fantastic energy! 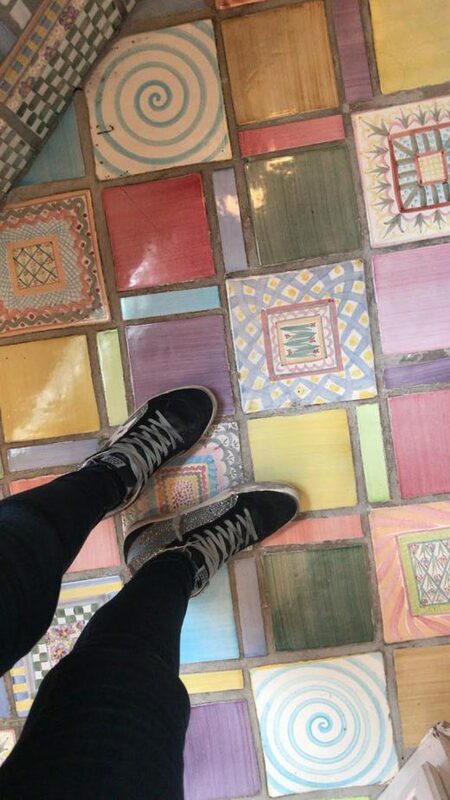 We headed back to the headquarters and toured the grounds to see the animals (birds, ducks, and cattle) and then to have lunch in the restored Farmhouse, that is completely decorated with everything MacKenzie-Childs. We then headed to a studio where videos and photos are shot and filmed a Facebook Live video with the whole group. We each got to show our place setting and tell why we chose it (mine is below). After filming, we got to go back to the store and shop! The last night was so much fun spent back at The Rowland House with wine, food, ornament painting, letter pressing tags, and tea leaf readings! Have any of you ever done one? It was a little eerily correct. 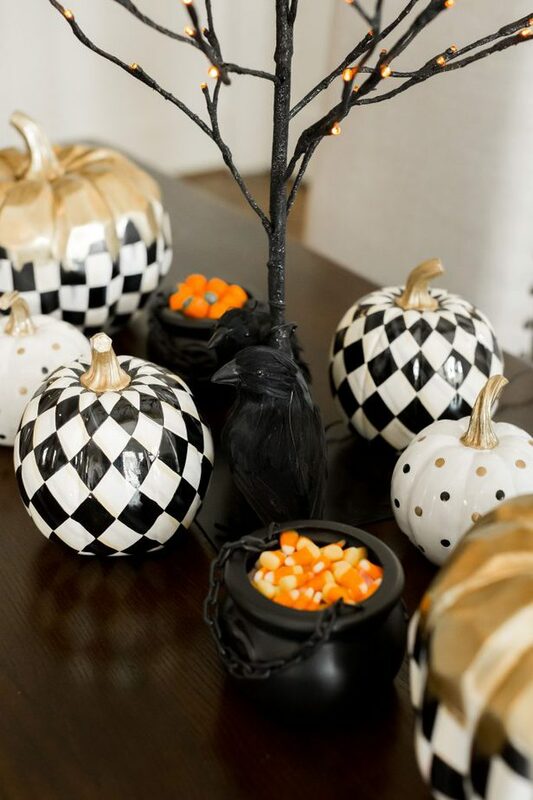 How cute is this Halloween arrangement? 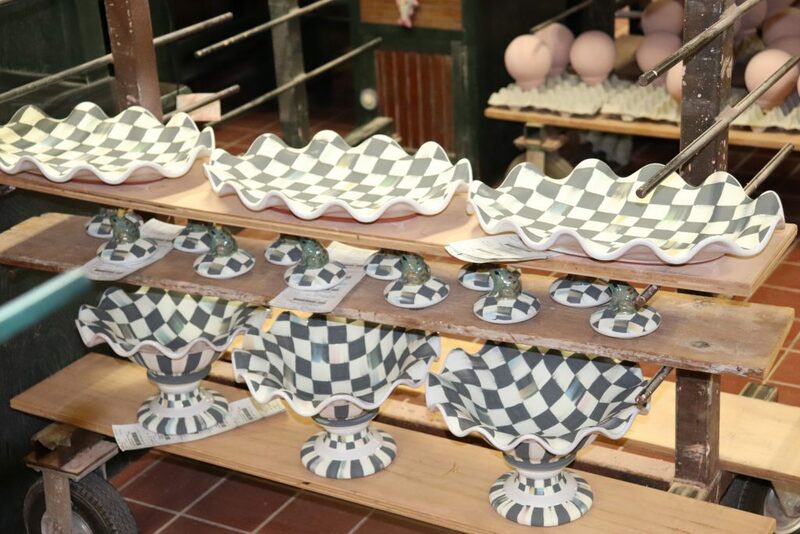 I was blown away by the many products MacKenzie-Childs offers. I honestly thought it was mostly tabletop and furniture, but quickly learned they have robes, umbrellas, dog accessories, wrapping paper, eyeglass readers, travel accessories, and holiday decor, pillows, children’s accessories, candles, and so much more. 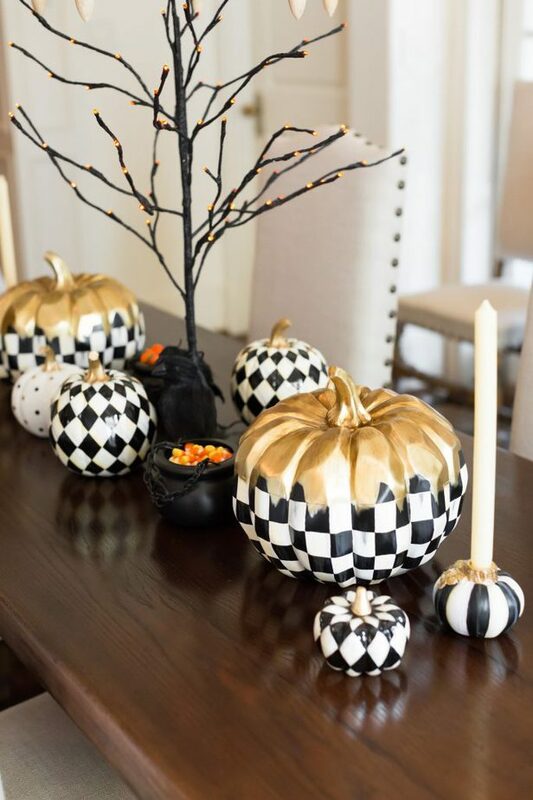 I wanted to show you my favorite patterns from MacKenzie-Childs. The Courtly Check is one of my all-time favorites. 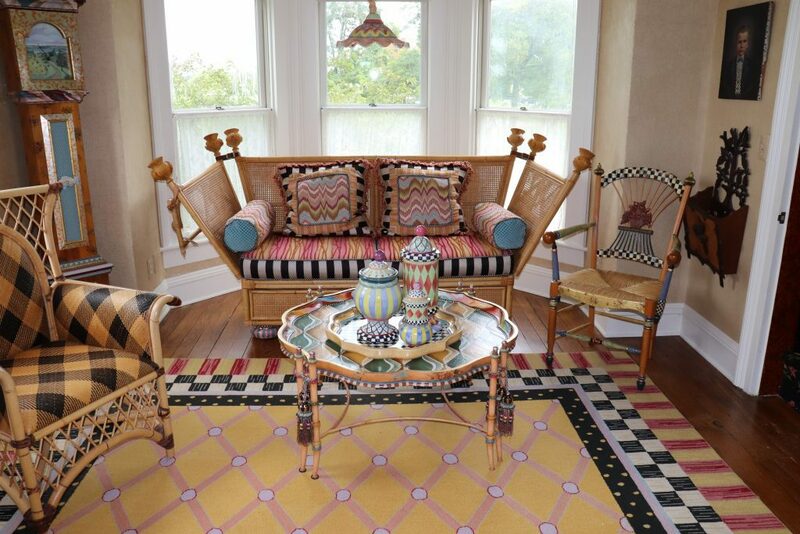 What makes MacKenzie-Childs so unique is the ability to mix so many fun patterns and pieces. My new favorite is the Pheasant Run Collection which was what I chose for the Facebook Live. 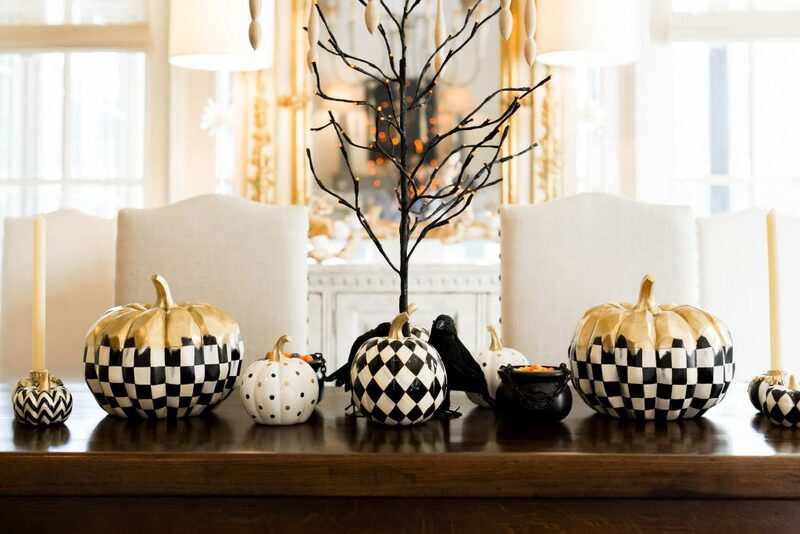 I love the colors in each of the pieces, and the Courtly Check mixes so well with this collection. I wanted to do a tablescape that my grandchildren would enjoy for Halloween. Below is how that turned out. I added a tree that lights up, some blackbirds that I had, and some cauldrons filled with my favorite Halloween candy. I have been so busy since this trip took place that I haven’t had time to order this Thanksgiving platter. I am doing it after I publish this post! I cannot tell you how much fun this trip was learning about and seeing the MacKenzie-Childs headquarters, plus getting to know these adorable girls and town of Aurora. The tour at the headquarters is open to the public, and there is a colossal Barn Sale every July that attracts over 25,000 people! 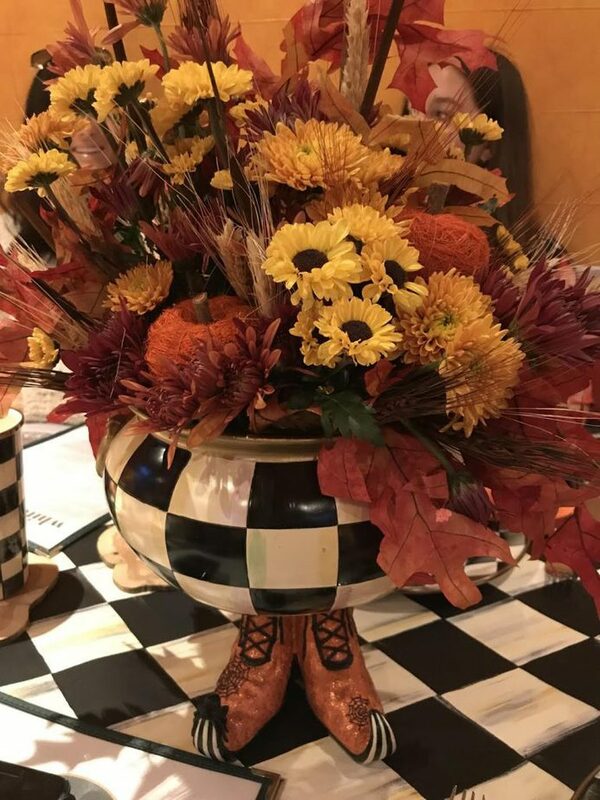 I am so grateful for the time I had in Aurora with my new friends and the lovely people from MacKenzie-Childs. I am a fan forever!!! There are a lot of photos, I know, but I am so excited and love this brand! 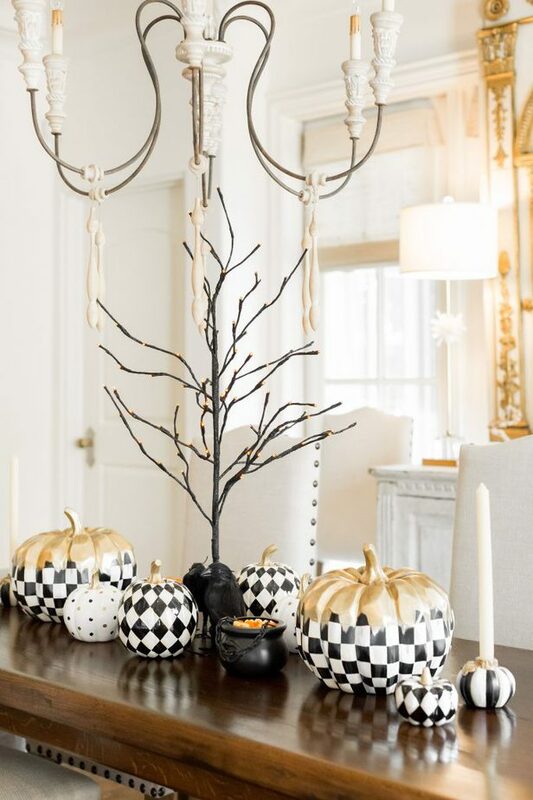 Thank you, MacKenzie-Childs for sponsoring this post!